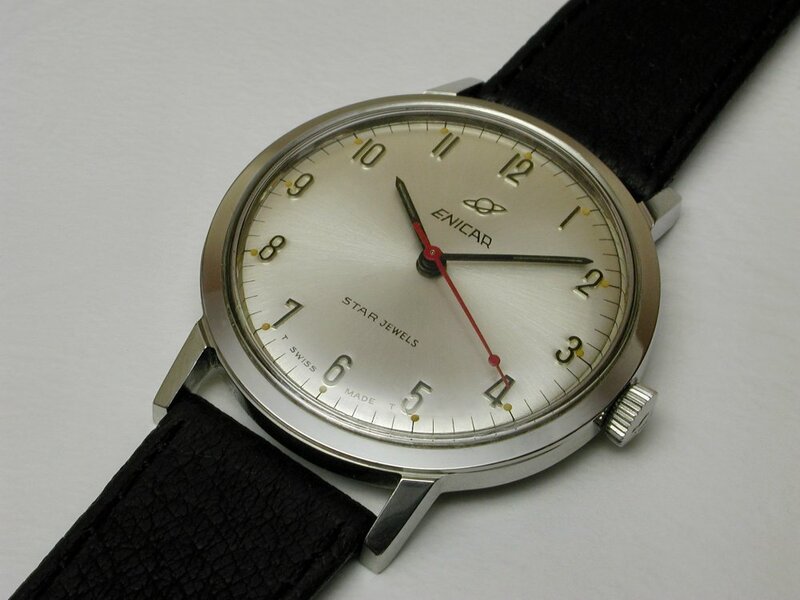 TimeZone : Vintage Watches » Arabic number dial in its most basic form. 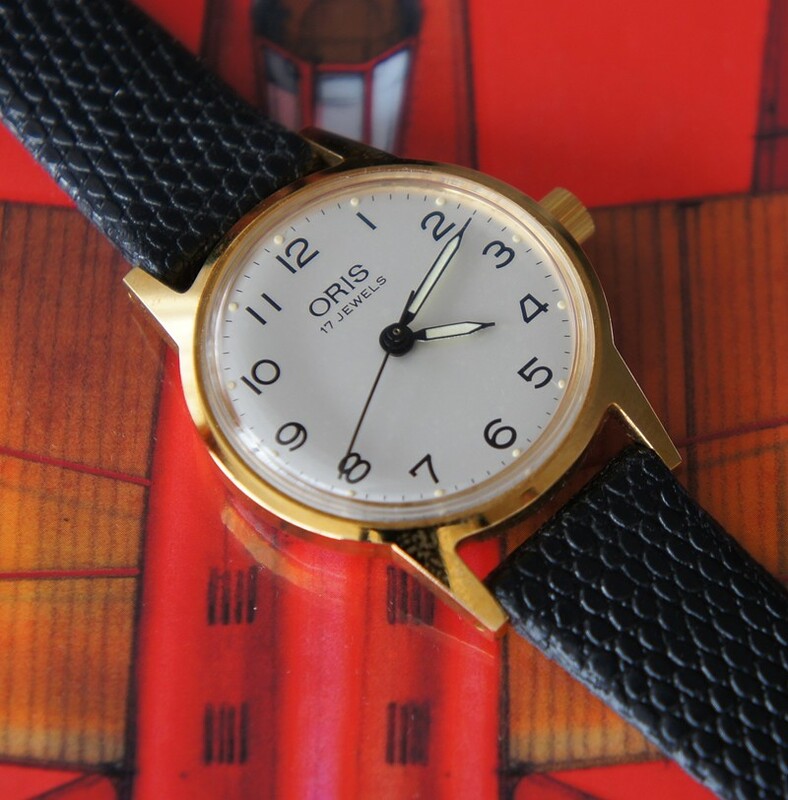 Oris, manual wind, gold plated. Have you got a watch with a simple basic dial? ...for its relative simplicity and having all 12 numerals intact. 1960s Enicar Ocean Pearl, AR cal. 106. ...Rob B and I did point out some interesting use of jeweling in a "Star Jewels" marked Enicar watch. Have a look at the post linked below. 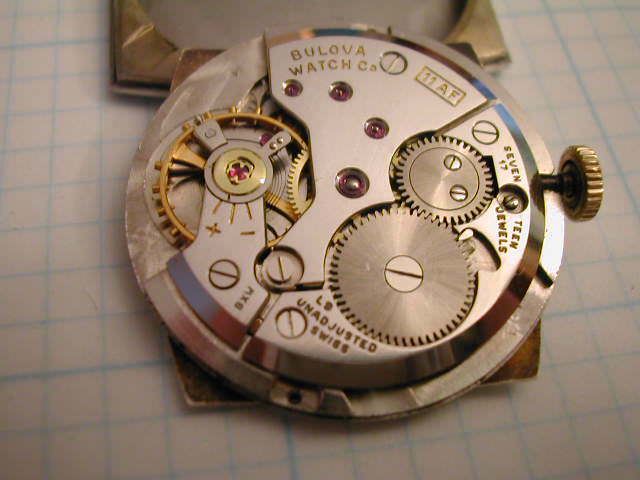 Apart from that I recall that the jeweling in the movements was normal. It seems some jewels were just there for show. 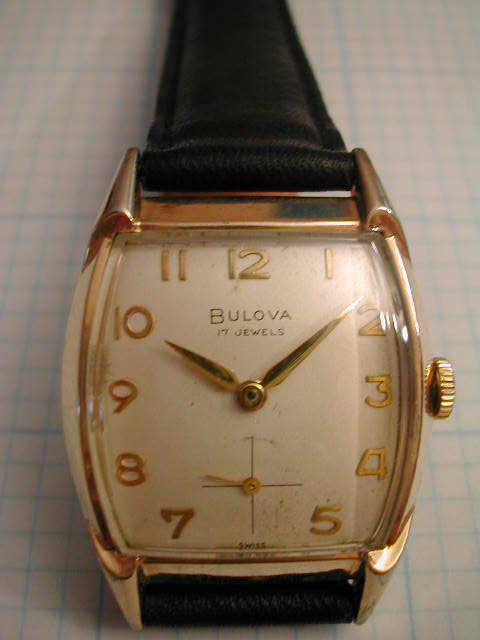 This plain Jane Bulova is an heirloom piece in average condition for its age & use. It does show some signs of moisture intrusion. small hints of style. Other than that about as plain as they come. Unfortunately, I have no suggestion or inkling what it could be...S for synthetic? R for Ruby? 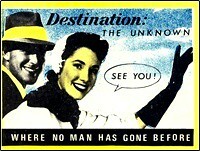 Previous Topic: Apparently Photobucket hosted photos are back.